I thought you all could use a good laugh since it is Wednesday and maybe you need some laughter to get you through the rest of the week. Why? Because she wanted to. B for some reason wanted her winter hat, so I got it for her and she put it on for maybe 5 minutes. Mel decided she wanted to be just like Big Sis so we put her hat and mittens (actually B's mittens) on. She left them on the majority of the the day. She wanted to wear them at nap time also. 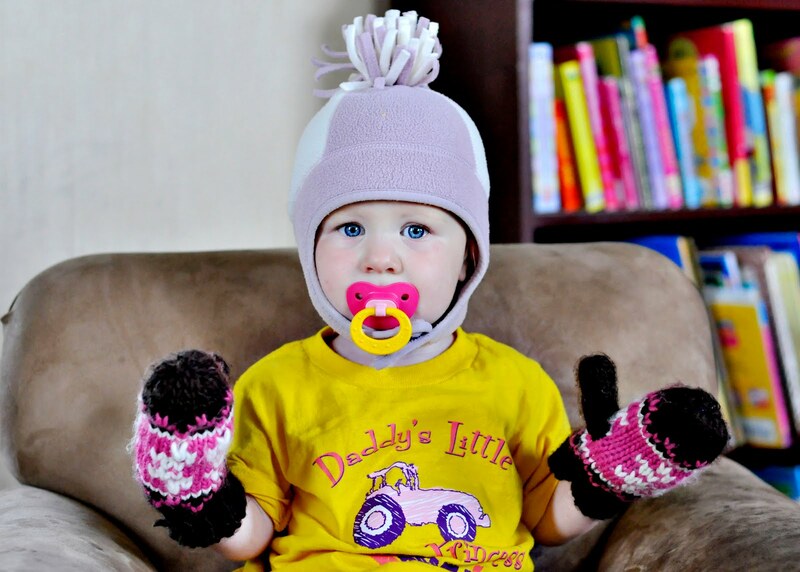 I let her wear the mittens but not the hat. When she woke up, she wanted the hat back on! Silly girl!